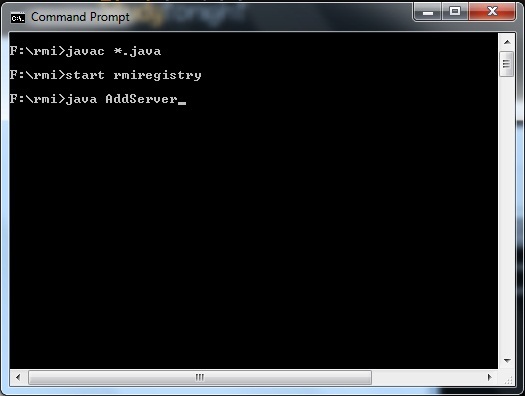 Remote method invocation(RMI) allow a java object to invoke method on an object running on another machine. 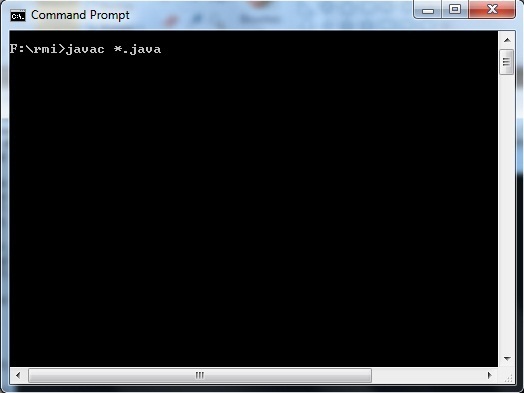 RMI provide remote communication between java program. RMI is used for building distributed application. A RMI application can be divided into two part,Client program and Server program. A Server program creates some remote object, make their references available for the client to invoke method on it. A Client program make request for remote objects on server and invoke method on them. 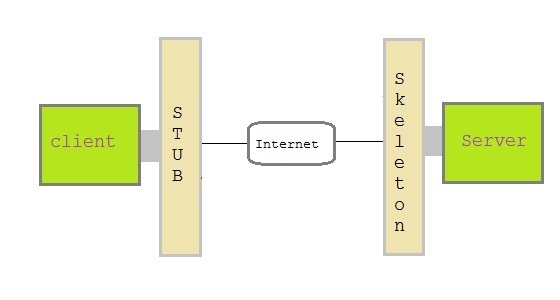 Stub and Skeleton are two important object used for communication with remote object. Stub act as a gateway for Client program. It resides on Client side and communicate with Skeleton object. It establish the connection between remote object and transmit request to it. Skeleton object resides on server program. It is responsible for passing request from Stub to remote object. A remote interface specifies the methods that can be invoked remotely by a client. Clients program communicate to remote interfaces, not to classes implementing it. To be a remote interface, a interface must extend the Remote interface of java.rmi package. For implementation of remote interface, a class must either extend UnicastRemoteObject or use exportObject() method of UnicastRemoteObject class. //addService object is hosted with name AddService. 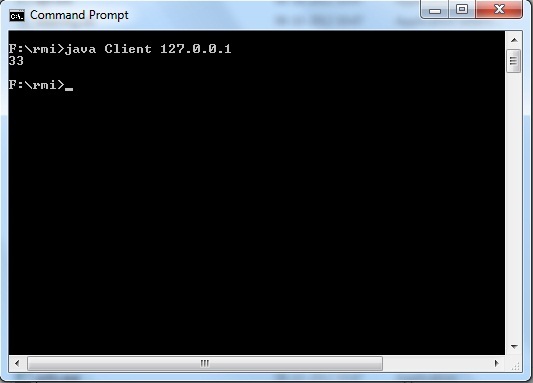 Client application contains a java program that invokes the lookup() method of the Naming class. This method accepts one argument, the rmi URL and returns a reference to an object of type AddServerInterface. All remote method invocation is done on this object. 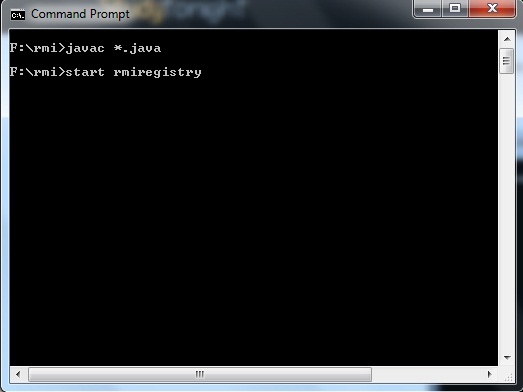 Save all the above java file into a directory and name it as "rmi"